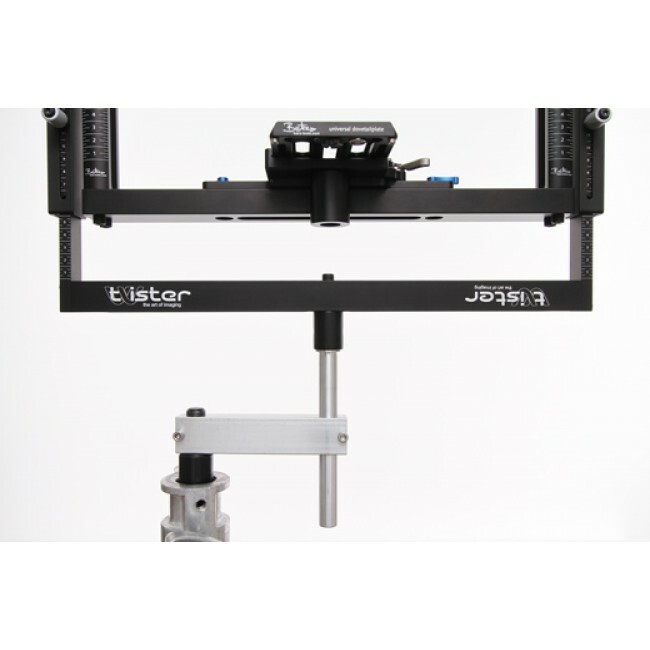 “Twister“ universal twistable frame adjustable for all kind of cameras hang on or dock it. 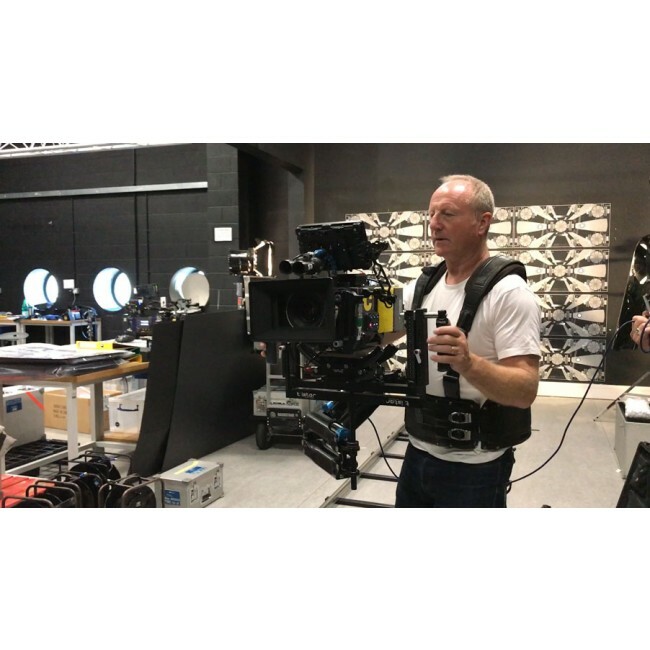 Change quickly your camera setup from handheld to Steadicam®/Arm, shoulder mount, Easyrig or tripod etc. 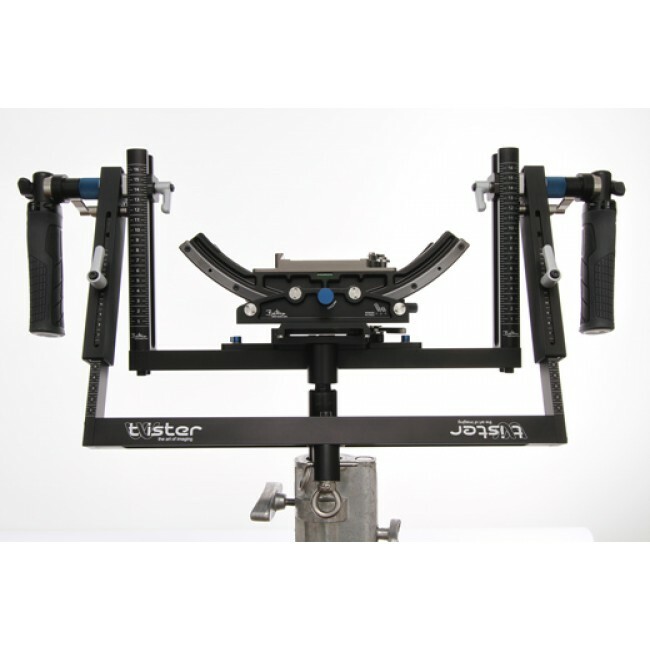 Universal Quicklok™ mount for standard Steadicam®, GPI PRO, RIG, MK-V dovetail plates. For proper weight balance adjustable in height and side by side. 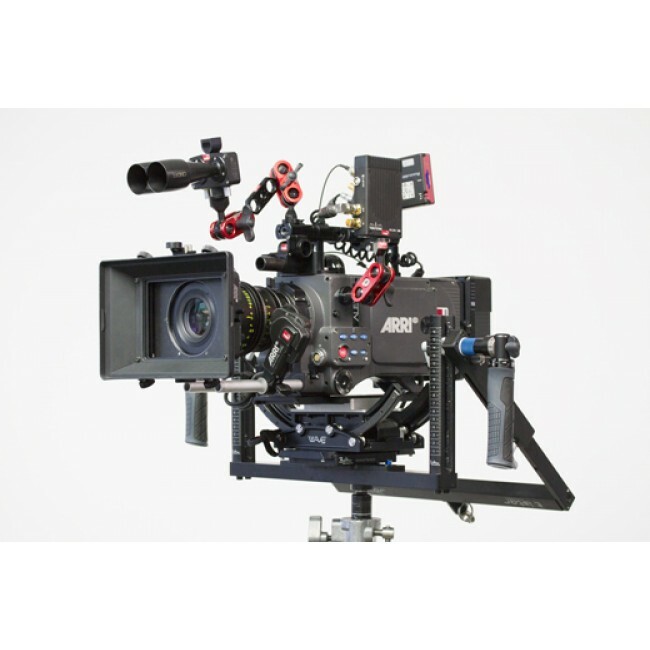 For all kinds of cameras like ARRI, Red, Sony, Ikegami, Canon, Panavision etc. 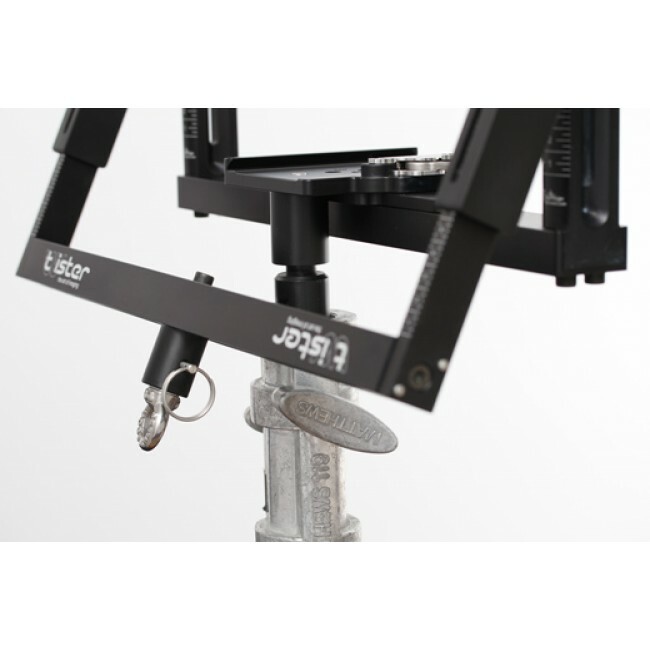 Pivot mount for Steadicam® armpost or for tripod docking. Mounting ring for hanging on Easyrig / Serene etc. Machined lightweight aircraft aluminium with laser engraved adjusting marks for quick and easy adjustment in height for proper camera balancing. For quick and easy camera setup weight balance and lens exchange. Vibrationfree and sturdy. Minimum height of dovetail mounting plate 0.36“/10 mm. 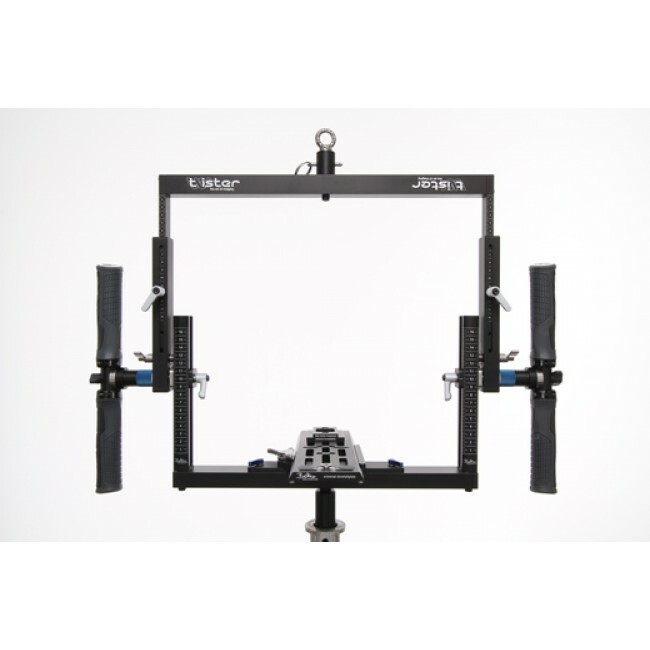 Effects also a quick swap over to tripods, shoulder mounts, Steadicams® or any other camera support. Camera mounting via 3/8“ or 1/4“ screws. 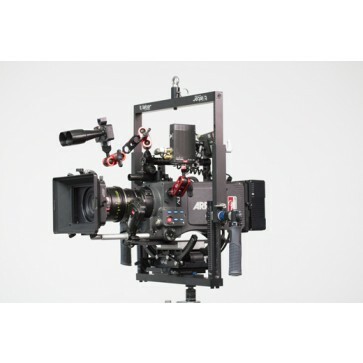 ARRI: Alexa, Alexa65, Alexa Mini, AlexaM, Amira, Red: Epic, Scarlet, Raven, Weapon etc. Black Magic: URSA, URSA Mini Lightweight Sony, Canon or DSLR Cameras needs little counterweights for proper balancing. 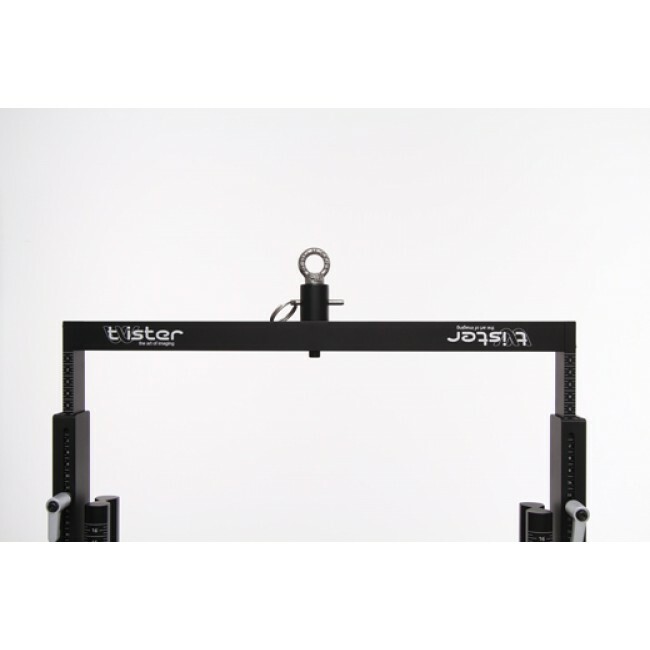 Counterweights with 3/8“ thread from Tiffen Steadicam® accessories.